Just some random screens of a pak64 game I've been playing for some time now. This is a very small map, 128x128 if I remember rightly, half of which is water, yet it still manages to get beyond me. 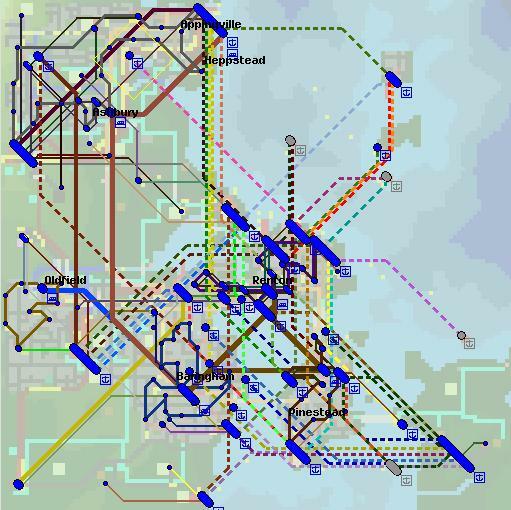 The game's network after 19 years (pax, mail and goods). Initial pax routes were inner-city trams in Renton, Pinestead and Baringham, connected by ferry, quickly replaced by a monorail (or 1st gen monorail as I prefer to see it), soon upgraded to 2nd gen maglev. 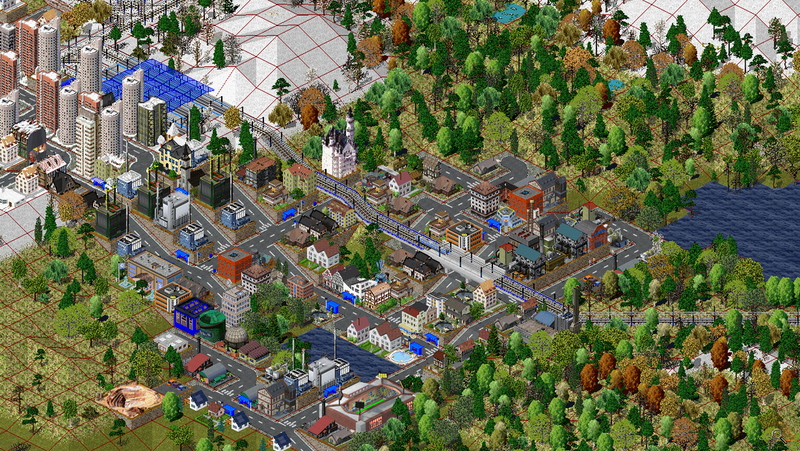 Pinestead quickly ran out of room and had to expand to the SE island, although growth was restricted here by the presence of the ultimate NIMBY - a pair of incinerator power plants (served by dozens of waste scows). Thoroughly enjoying the new lake feature in the 112.4 nightlies! The oil suppliers are in rather short supply, an unfortunate result of rapid city growth taking up valuable prospecting space. 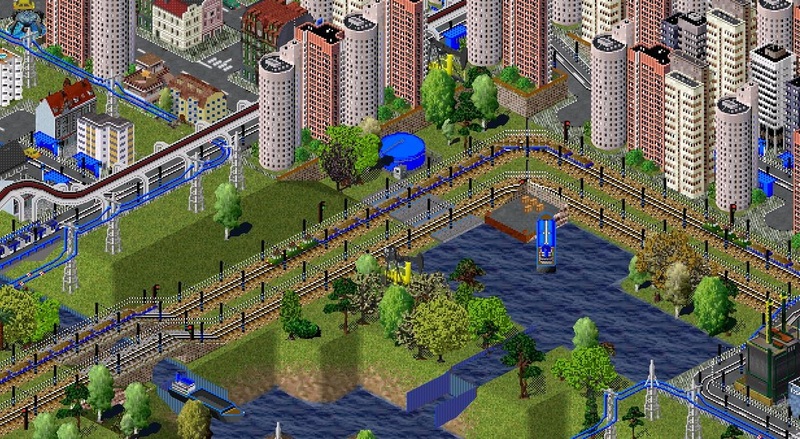 No save available I'm afraid, as the game uses a custom made fence .pak that I put together from this thread on the old forum. I am not able to see the photo's, sorry! The photo's are not showing up from the host, I have no idea why! 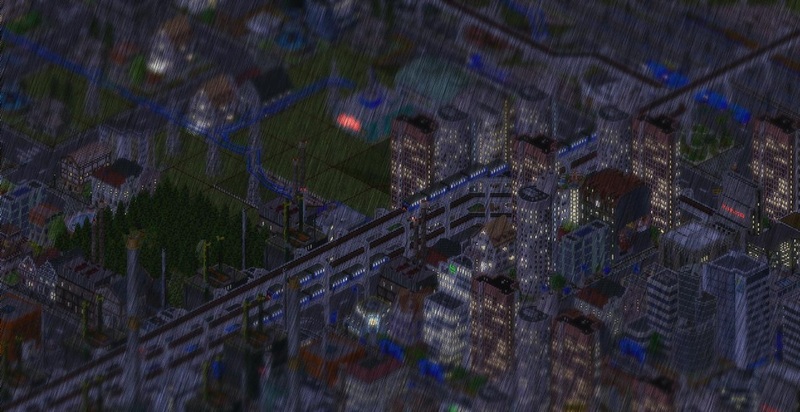 I love the rain effect! Which filters did you use? Something like: blur (feathered selection round the middle, miniature-faking-style), glow, new black layer, RGB noise, motion blur, correctional brightness/contrast. Found the rain effect on the net, makes quite a nice fake rain! 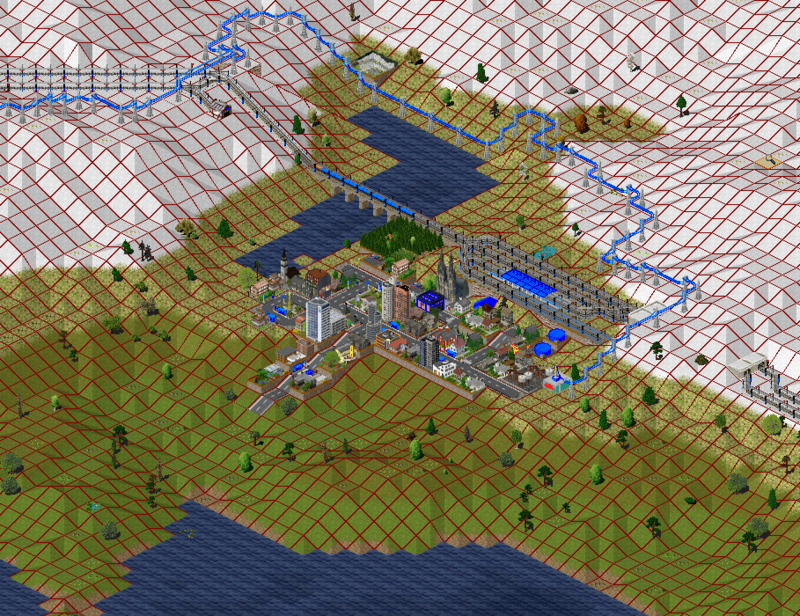 With all of the new developments in the nightlies in tile heights and lakes, mountainous maps are now so much cooler! 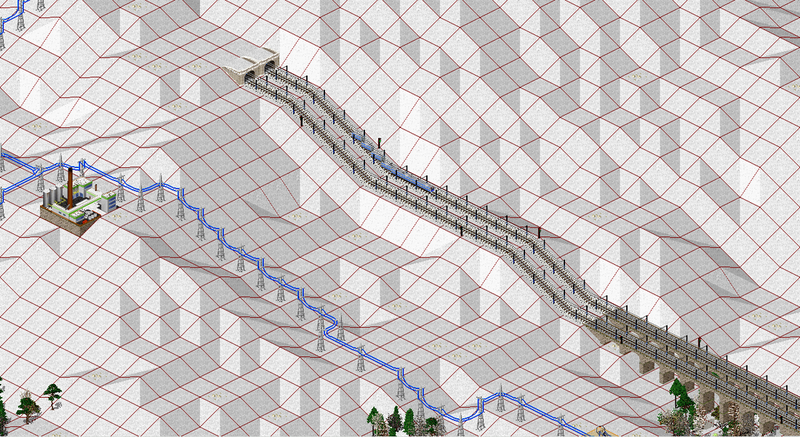 Carving roads and railways through/over/under mountains feels quite satisfying now, with less need to resort to using square blocks to build height. Doing pretty Alpine towns by lakes is awesome as well! Great new features, thanks guys! 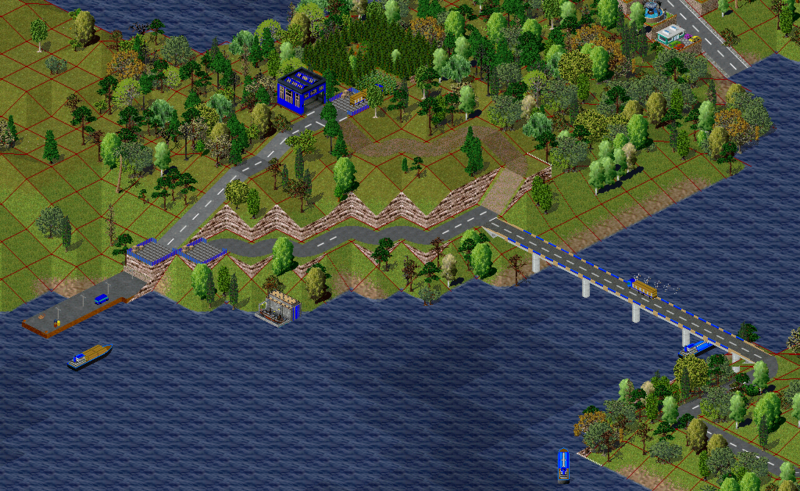 Can't wait for the other paks to get the double/half height tiles. Those look like some very perilous slopes, I must say. Was the upgrade on the new simutrans nightly with the new pakset with problems marked?